Unlike new masonry construction, restoration masonry requires matching to existing surfaces. Whether it’s a brick, stone, or mortar, samples must be submitted and often tested to determine the original material components. So what is the best way to specify a match? Well, first let’s talk about the way it is generally done now in the restoration business. An architect writes a specification that includes the details of matching the masonry; for instance, “match the brick in color, texture, size, and physical characteristics to that of the original historic brick”….nothing wrong with that, right? Well consider the brick match needing to be located (research, calling around to suppliers, submittal of samples) after the contract has been awarded and the construction schedule is starting. The pressure to find a good and acceptable brick match is now the responsibility of the contractor who is thinking about mobilizing the site, balancing manpower to get the project done on time, and the overall responsibilities for the entire project. Question: Is this the best time and the right person to be carrying out the important responsibility of finding a successful brick match? The same goes for the stone or mortar match as well. Question: Is placing these decisions on the back of the contractor at the start of the project in the best interest of the project? Under this pressure mistakes can be made and searching for the best most appropriate match compromises are often made (“that’s the best we can get, or, they don’t make that any longer”). So what might be a better strategy? A relatively new movement is occurring in the architectural design world in the restoration business. Architects are working with building owners directly and sometimes with consultants to assist them in matching historic masonry materials – prior to bid….during the design development stage of the project (often 1-year in advance of the bidding process). 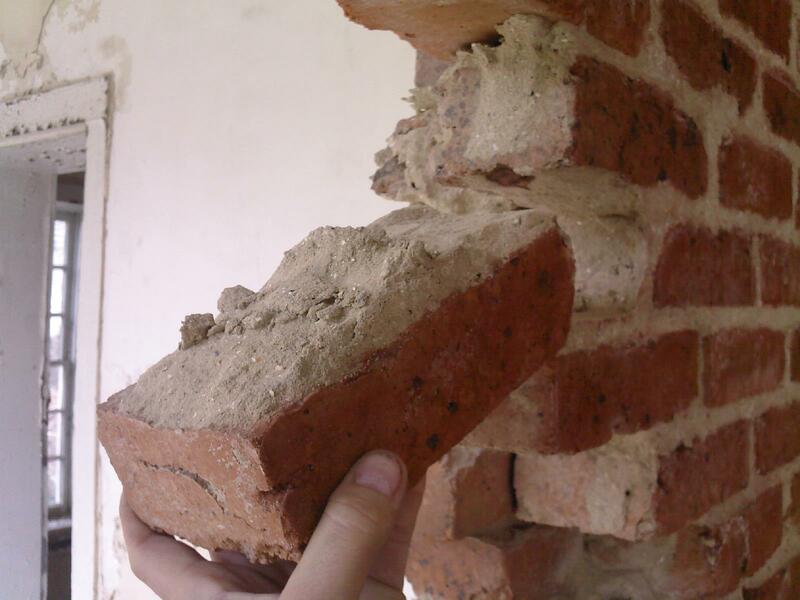 The brick, stone and mortar testing work are accomplished and often times pre-approved in a pre-construction test panel installed by a local mason contractor or preservation consultant. This strategy helps to eliminate delays in the construction phase of the project and it gives more time, without the pressure, to find the best available match on the market. So the next time you are considering specifying replacement masonry materials on a historic restoration project consider this new approach to an age old problem. It takes a little more planning on your part, and yes, the owners need to pay up front for some pre-construction test panels, installed into the actual masonry for evaluation. But in the end, the surprises related to change orders are often minimized and the team approach to getting the project done on-time and under budget becomes a reality-not just a dream. And, its money the owners will be spending anyway with the contractor after the bid award….. something to consider. This entry was posted on October 3, 2011, 9:19 am and is filed under Matching. You can follow any responses to this entry through RSS 2.0. You can leave a response, or trackback from your own site.